A judge in the US has ordered a baby’s first name to be changed from Messiah to Martin, arguing that the only true messiah is Jesus Christ, reports say. The parents of seven-month old Messiah DeShawn Martin had gone to court in Tennessee over his last name. But Child Support Magistrate Lu Ann Ballew ordered the first name changed too, local broadcaster WBIR-TV said. Last year more than 700 babies were named Messiah in the US, according to the Social Security Administration. Christianity refers to Jesus as the Messiah, while Judaism uses the term to mean an anticipated saviour of the Jews. Dictionary definitions say the word can mean someone who is seen as a saviour or a liberator. The judge in Cocke County said the name Messiah could cause the boy difficulties if he grew up in such a predominantly Christian area. “It could put him at odds with a lot of people and at this point he has had no choice in what his name is,” Judge Ballew said. Instead she ordered that the baby was to be named Martin DeShawn McCullough, which includes both parents’ last name. “The word Messiah is a title and it’s a title that has only been earned by one person and that one person is Jesus Christ,” the judge added. 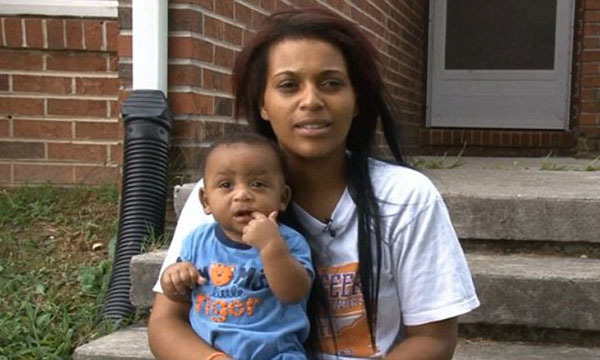 The baby’s mother Jaleesa Martin told WBIR she would appeal against the judge’s order. “I didn’t think a judge could change my baby’s name because of her religious beliefs,” she said. She said she chose the name not because of its religious connotations, but because she liked how it sounded with her two other children’s names, Micah and Mason. Messiah came in at number 387 in the list of the most popular of baby names in the US in 2012, up from 633 in 2011.